Designed to be portable and placed anywhere throughout your event. 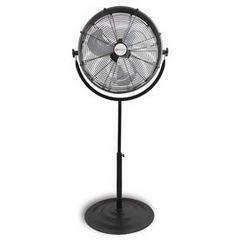 Fan head tilts 360 Degrees to direct air flow where it's needed. 3 speed fan for comfort. Great for backyard party, wedding, or company picnic tent rentals.